Aquatec International has been making high quality pumps precision diaphram pumps for over 30 years. The pumps are manufactured in the USA. 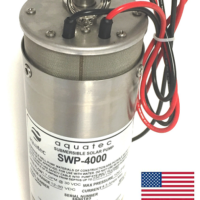 The Aquatec SWP series of submersible pumps are designed to supply water in off-grid locations for homes, irrigation, livestock, ponds, and many other applications. The SWP-4000 4 inch and SWP-6000 6 inch positive-displacement submersible deep well diaphragm pumps are constructed with high-grade materials that are all potable water safe. 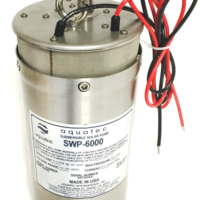 The SWP pumps are designed to operate from any 12-30 VDC power source, including 60 cell modules or 72 cell modules or arrays (using a controller to limit the voltage input to the pump to 30VDC maximum), or 12VDC or 24V DC battery banks. 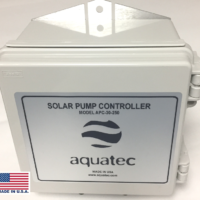 View cart “Aquatec APC-30-250 Pump Controller” has been added to your cart.